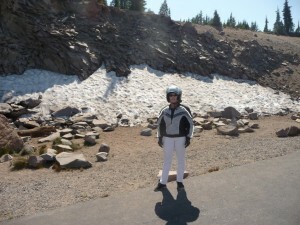 Yesterday we took a ride to Crater Lake National Park. It is another of the places we have not visited in over 30 years. We got a late start so we didn't have as much time to explore as we would have liked, but the scenery was great and we had a good time. We left Sutherlin and headed east on Highway 138 from Roseburg. 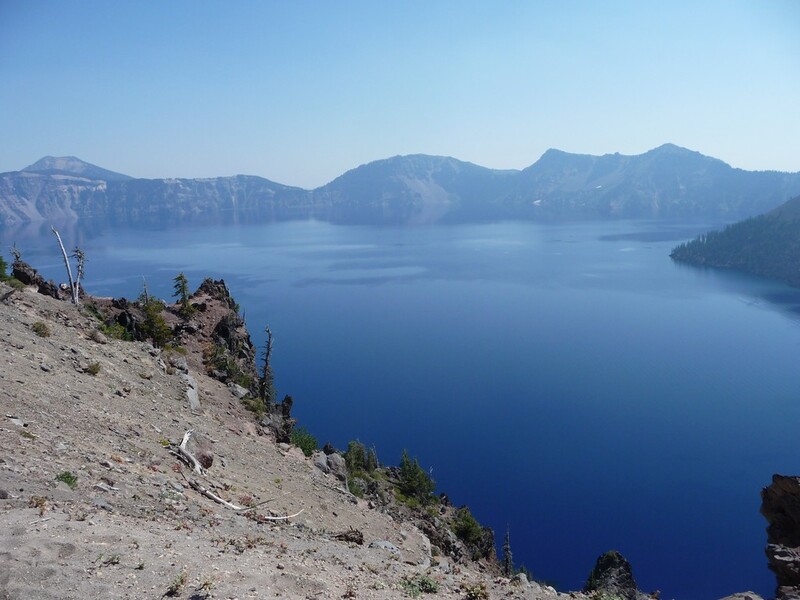 The highway follows the North Fork of the Umpqua River (the river we kayaked on last week) 75 miles from Roseburg to near its headwaters at Maidu Lake where the road turns south for 25 miles past Diamond Lake to the north entrance of the park. 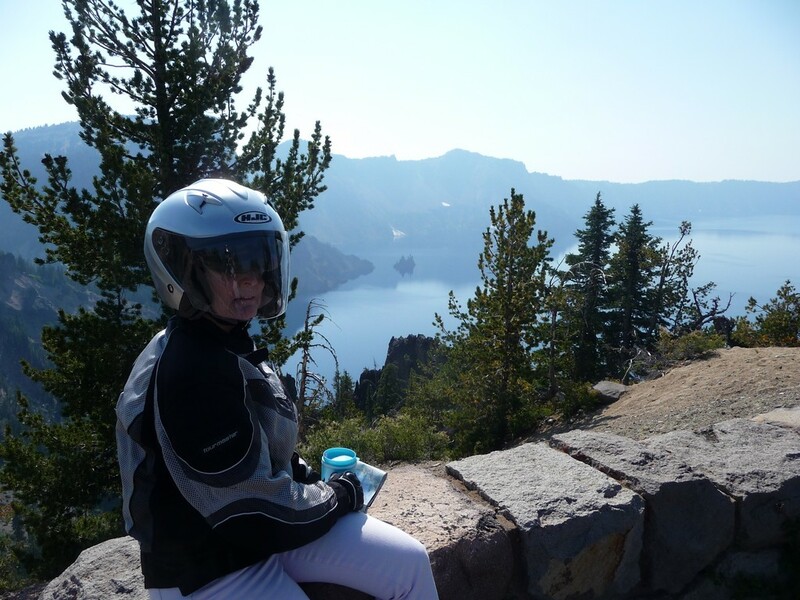 I neglected to fill the bike with gas before we left, and planned on purchasing fuel at Crater Lake. Unfortunately, I did not do my research. 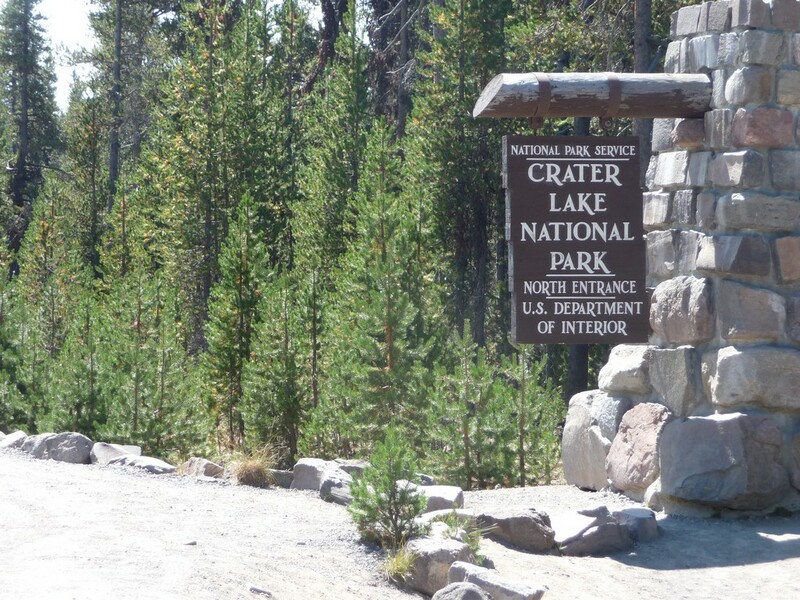 When we arrived at the North Entrance we learned that the only fuel in the park was at the South Entrance, about 30 miles away. I didn't want to chance it as I estimated I only had enough fuel for another 25 miles. Our choices were to drive 20 miles east to highway 97 and back, or 8 miles back down the highway to the resort at Diamond Lake where we got to pay the most ever for fuel: $4.99 a gallon. Fortunately we only needed 3.5 gallons to fill up. Can you imagine having to fill up a motorhome? For those who might be curious, the new seat is working very well for me. Yesterday's trip was about 250 miles and we only made a few stops. Dianna is still not completely happy. She had a back ache after yesterday's ride. We're not sure why. As I remember. Crater Lake is the bluest blue I have ever seen, enough to make one stare for minutes thinking that it can't be real. So beautiful. If you had had your boat, could you have taken it on the lake? No. The only way down to the lake is a strenuous 1.1 mile hike down a steep trail. There is a boat tour that is run by the Park Service, but private boats are not allowed on the lake.